\r\nTime to move this on as it doesn\'t get the use it deserves. Also since moving house I no longer have a garage and I don\'t like leaving it on the road. 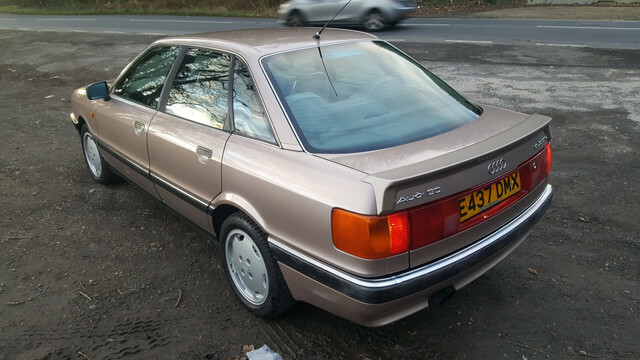 \r\n90 Quattro, KV engine, Flamingo Taupe in colour. Just had osf wheel bearing, nsf lower ball joint and front to rear brake pipe done for the MOT as well as having the emissions adjusted. 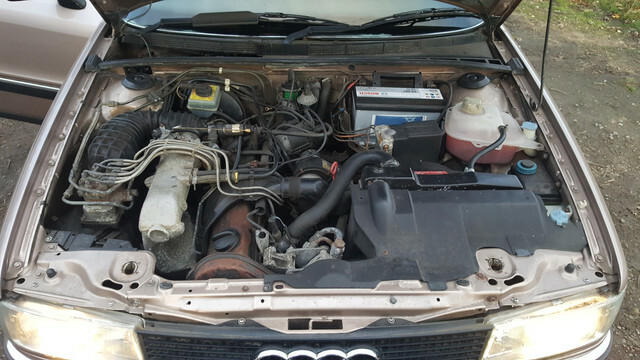 Now runs sweet, starts fine hot or cold, idles perfectly. \r\nMOT was passed 25th September with no advisories at 146688 miles. Now showing 146774 miles but will probably rise. 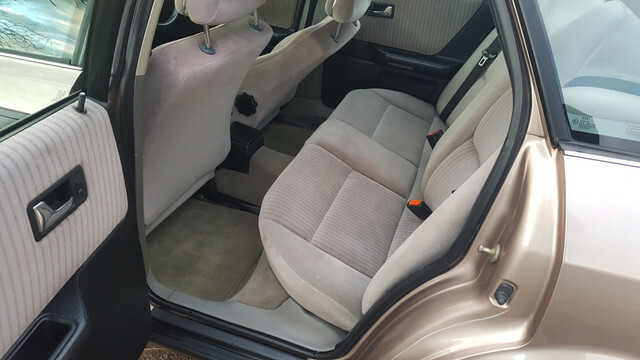 \r\nInterior and exterior in excellent condition. 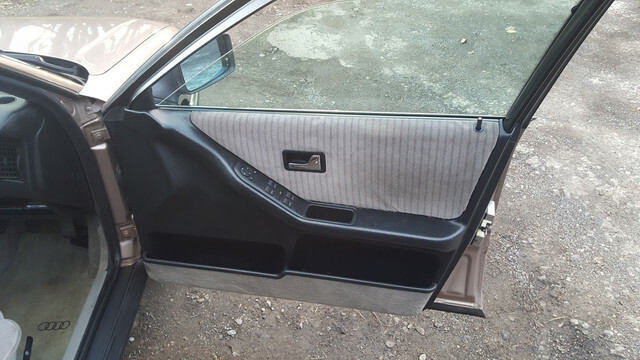 4x electric windows, mirrors and manual sunroof. 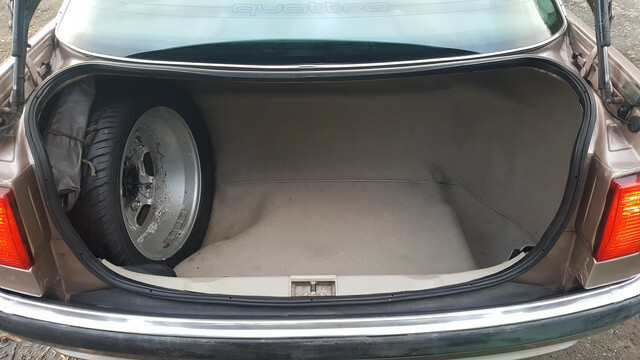 15" Aero\'s with Uniroyal rainsport 3\'s (phenomenal tyre in the wet) with about 5-6mm on them. 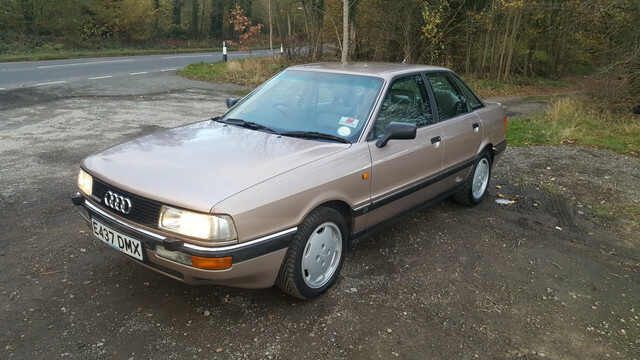 \r\nMasses of history, two sets of keys,will come with a load of spares I got with it when I first bought it (indicator stalks, throttle body, exhaust parts, trim etc). \r\nABS light comes on when it feels like it. Usually in cold weather.I serviced it shortly after getting it but it is coming up for another as I usually like to do them every 3-5k, timing belt is due on age rather than mileage. Worth every penny of the asking price, the pics don\'t do the car justice. 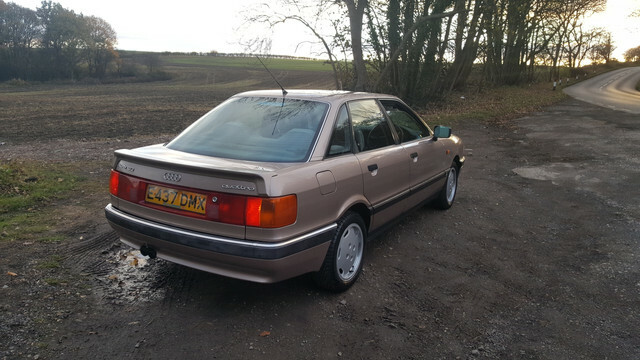 This must be one of the best unmolested B3 90s out there. I feel your pain, Matt, as I had timewasters too. \r\nThe right person is out there to buy it. Try Car and Classic, it is free to advertise. Hi.I fully agree. I wish I had a free cash for it buy but with small children and wife on board there are different priorities. \r\nBest of luck in selling it. Hey there, how did you get on with the sale in the end? \r\nSorry Christmas and crazy work got in the way for me when I was last interested. Still for sale. I haven\'t been actively advertising as i\'ve always been in 2 minds. If it sells it sells, if not, i\'ve been buying parts for it. 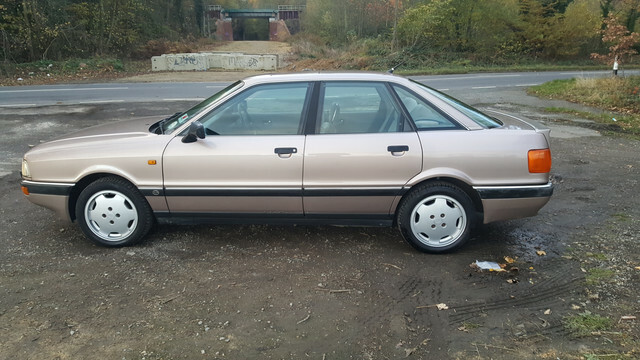 It\'ll come with new cambelt kit and water pump (not fitted) and some other bits and bobs. 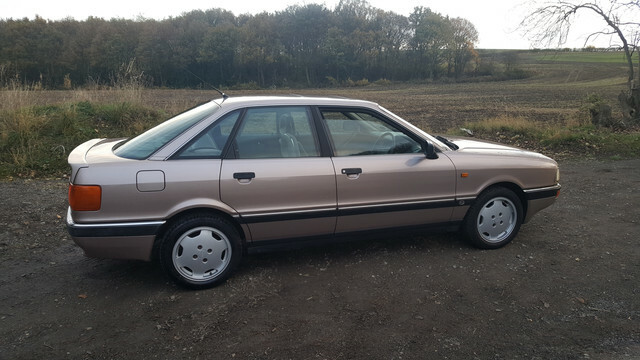 I am still interested but I can\'t take on another car until I sell either my A6 or the A4 I am running in Ireland, I need to step this up. Classic and Sportscar magazine if offering a 21 day free add to private sellers. Link below if it\'s any good to you. I don’t know how, it looks like a bargain to me! \nAre people just not coming out or walking away after viewing? \r\nAre people just not coming out or walking away after viewing? 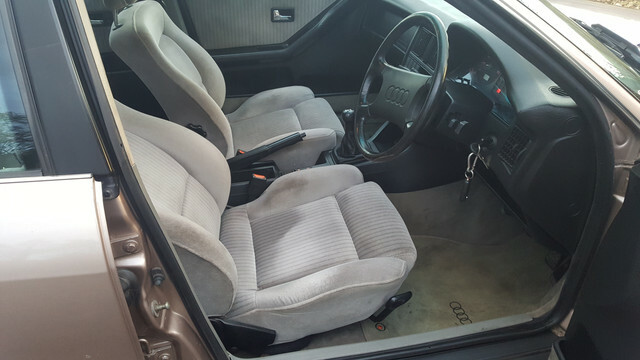 \r\nIt is a very, very straight car with a huge amount of service history from new with it. \r\nIf I wasn\'t balls deep refurbing my house, I would have it back in a heartbeat. 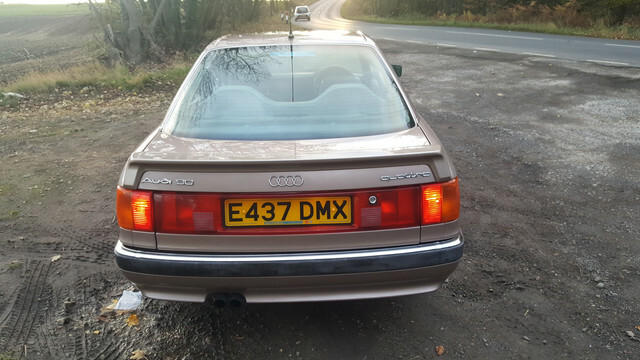 I\'d have it back as well but like you I\'m being too level headed and I can\'t see the wood for the trees!...........what a bloody nice car, iconic 5 pot engine and Quattro to boot, rare colour and sumptuous velooooooor as well! \r\n Maybe I need a plan?! I only have it for sale on here. Few interested but no-one has even come to look at it yet. \nBest to circumvent this place after 6 months of nowt and just put it on Car and Classic! \n I\'m afraid the forum has a very limited buying audience and those that are here have 4/5 cars each. Are people just not coming out or walking away after viewing?